Best known for his tough-guy roles in features and on television, James Coburn was a fun casting choice as the owner of the El Sleezo Café in The Muppet Movie. Just as Jim used Jack Warden as a newspaper editor in The Great Muppet Caper following Warden’s serious editor role in All the President’s Men, Jim used Coburn for a funny take on his typical tough characters. Shooting the film in the summer of 1978 gave the two men a chance to become friendly, and the following year, Jim stayed in a guest house owned by Coburn’s girlfriend Lynsey de Paul, furthering the connection and friendship. Jim spent Christmas Eve 1979 with Coburn and de Paul and, in 1980, for season five, Coburn guest starred on The Muppet Show. Learn about Jim’s stay at Lynsey de Paul’s guest house during The Muppet Show. 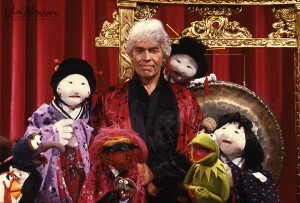 James Coburn on The Muppet Show. 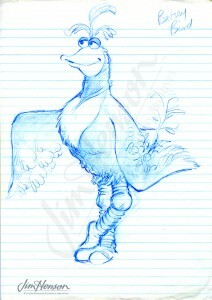 Michael Frith’s design for Betsy Bird. 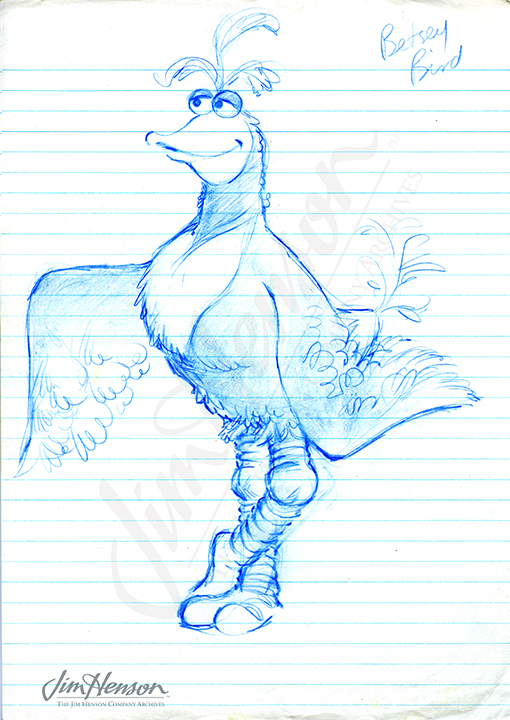 This entry was posted in 12-December '79, 1979, Social and tagged All the President’s Men, Animal, Betsy Bird, Big Bird, El Sleezo Café, Jack Warden, James Coburn, Lynsey De Paul, Michael Frith, The Great Muppet Caper, The Muppet Movie, The Muppet Show. Bookmark the permalink.